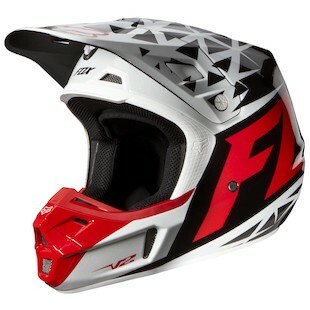 Fox Racing: New V2 Helmet Graphics! To follow its younger brother, the V2 has jazzed up its looks by adding 5 new color schemes so you can impress your friends and fam in the paddock area. 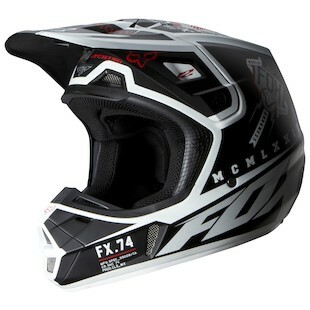 The Fox V2 Given helmet will match the treas of your dual-sport tires with its sick look. 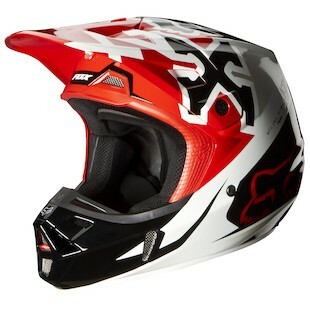 Designed to keep you looking and feeling cool with 10 intake and 4 exhaust vents for enhanced airflow. The Fox V2 Race will have you smokin past your competition with its fire orange and yellow color combo. 3 shell sizes and 4 EPS sizes along with a Dual density EPS liner will keep you comfortable during a long Sunday morning Enduro. Want to be seen as you pull a no-hander over crazy step-up double jump? 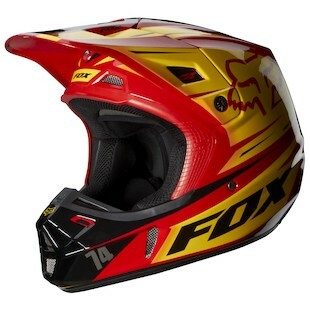 Then the Fox V2 Anthem colorway is where its at. Plus with its lightweight composite fiberglass shell, you don’t have to worry about extra weight holding you down. Are you and your little brother running the same moto? 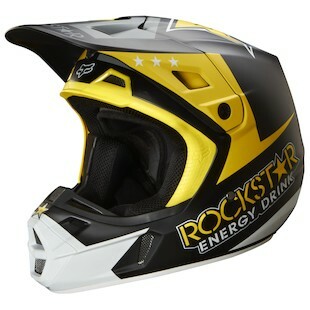 You can confuse everyone even further with the Fox V2 Rockstar graphic that comes on both the V2 and the V1. Get a pair of matching helmets to go with the same last name on your jersey and you’ll dominate track one way or another. With classic Black and White brand styling, the Fox V2 Overseer finishes up the new releases for the V2 in 2013. With Snell 2010 and DOT certifications, you can confidently pin the throttle, lean back and easily skip through the whoop section. Its going to be a good season with these new V2 graphics. So grab one up, get out there and ride!